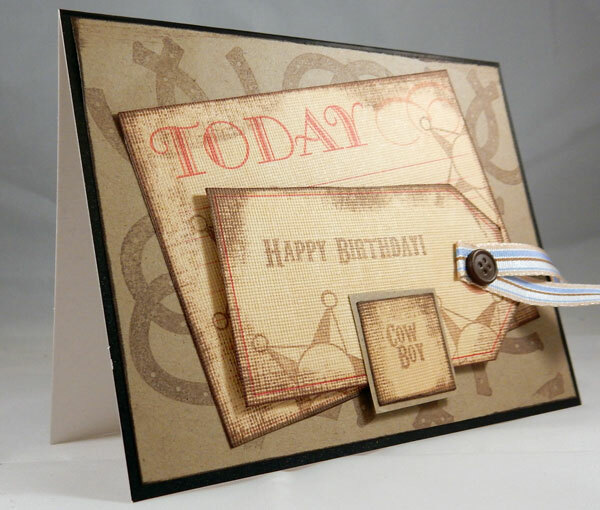 I've used the Giddy Up! 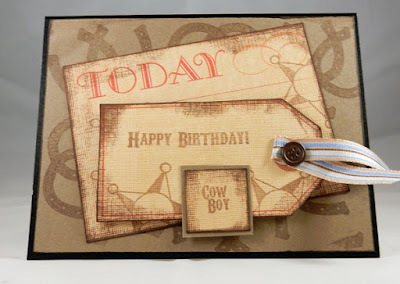 Stamp set - so cute for both cowboys and cowgirls!!! 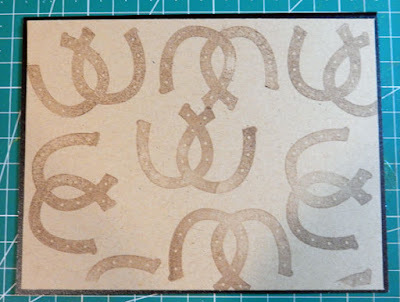 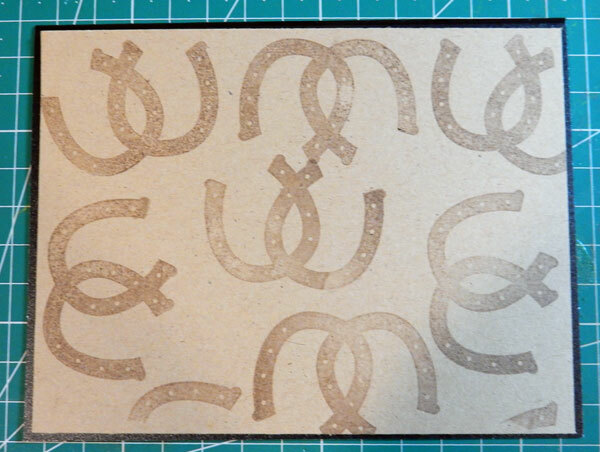 I first stamped the background of my card with the horseshoes. Next, I added assorted layers that were stamped with the included star, birthday and cowboy stamps all in brown with a touch of red and blue for the cowboy in your life.